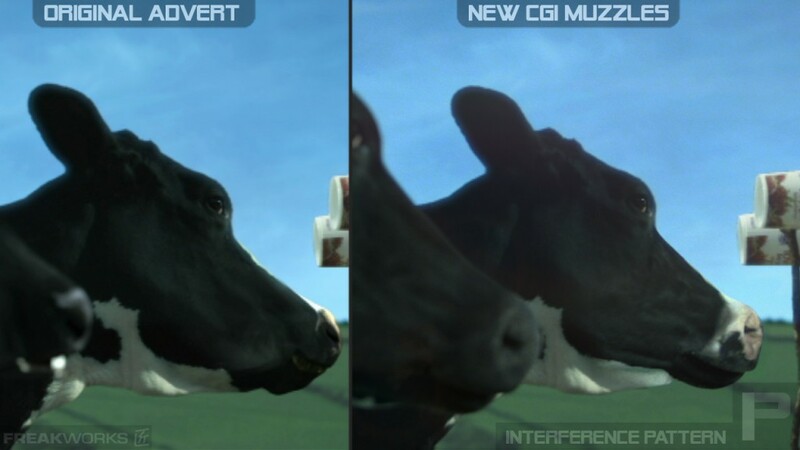 CGI muzzle replacements, over existing commercial, for Rowan Glen's resident nosy cows, Gwen and Jen. 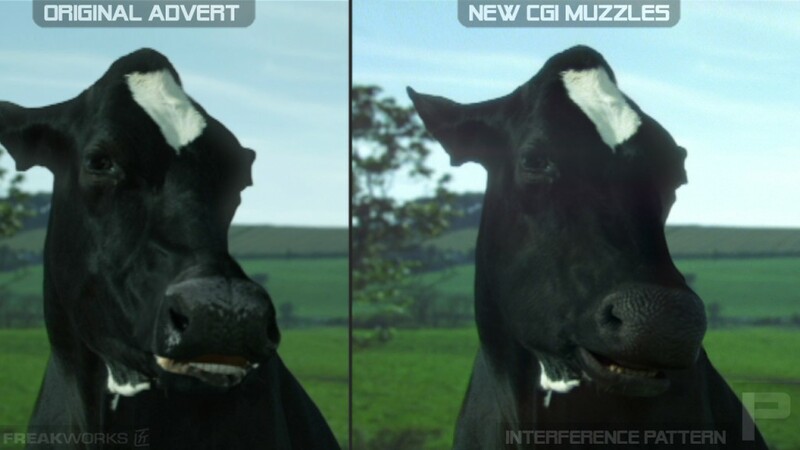 Full CGI muzzle replacements were carried out on an existing commercial for these two nosy cows, accomodating script changes for the launch of a new product line from the Rowan Glen Dairy. 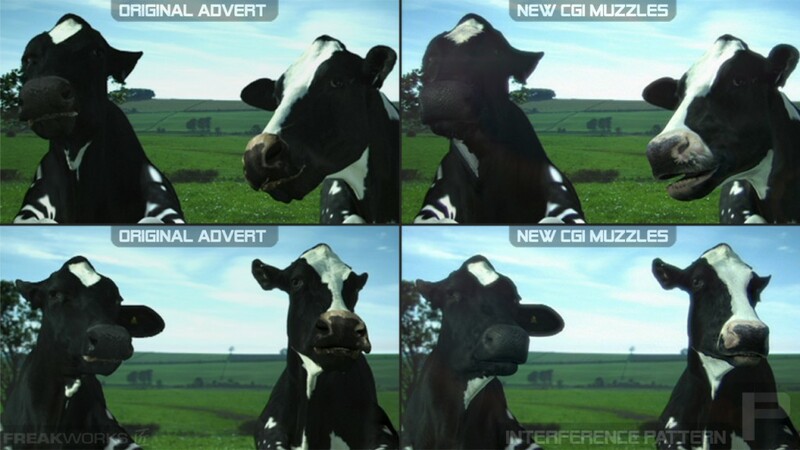 Without access to any of the material used to produce the original adverts, some fancy CGI trickery was used to let these nosy gals speak their new lines. Produced for Freak Works.